Mustapha Salma Ould Sidi Mouloud, the dissident who had been banned by the Polisario for having publicly supported the Moroccan autonomy plan for Western Sahara, has started a hunger strike. The reason? 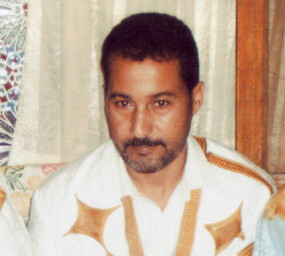 To exact his right to reunite with his family detained in the Tindouf camps, the Polisario front headquarters in Algeria. The former head of the Polisario security was expelled from Algerian territory and deported to Mauritania some two and a half year ago. Under the guarantee of the High Commissioner for Refugees, he then obtained a promise that his case will be speedily settled. But since that time, Mustapha Salma has not seen anything coming. The promise made by the UNHCR office in Nouakchott to find a solution to the situation was not honored. Since his coming to Mauritania in November 2010, Mustapha Salma’s repeated requests to reunite with his wife and children have remained unanswered. What makes things worse is that he does not have a passport and is therefore deprived of a basic right, the right to free movement. Mustapha Salma’s plight started when he was taken prisoner by the Algeria-backed Front in September 2010, while he was returning to the Tindouf camps after a visit to his relatives in Morocco. Mustapha Salma had been detained and tortured for several weeks in the Polisario camps and was released at the calls of international human rights NGOs. Under the combined pressure of the media and human rights advocates, the Algerian authorities had finally gave in. In November 2010 they ordered the Polisario leader, Mohamed Abdelaziz, to release the Sahrawi dissident. Algiers had thus defused the beginning of a scandal that it sought to avoid at all costs. But the humanitarian situation of Mustapha Salma, his wife and children remains unresolved.